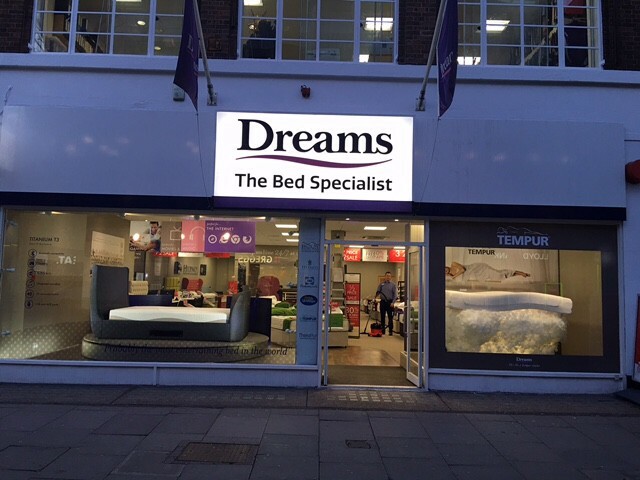 Following our on going relationship with UK bed retailer Dreams we have just launched two window displays for their premium high street store on Tottenham Court Road in the Capital. 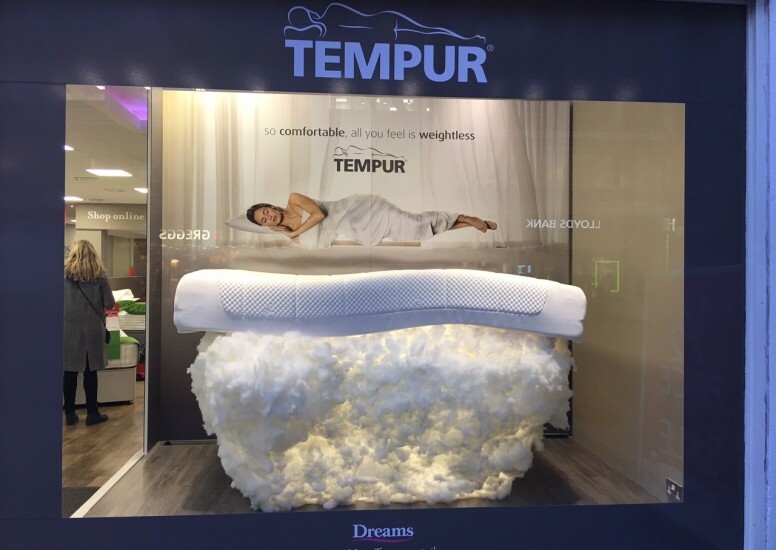 There were two briefs, one to create a simple yet effective window to highlight the Tempur brand and mattresses available. 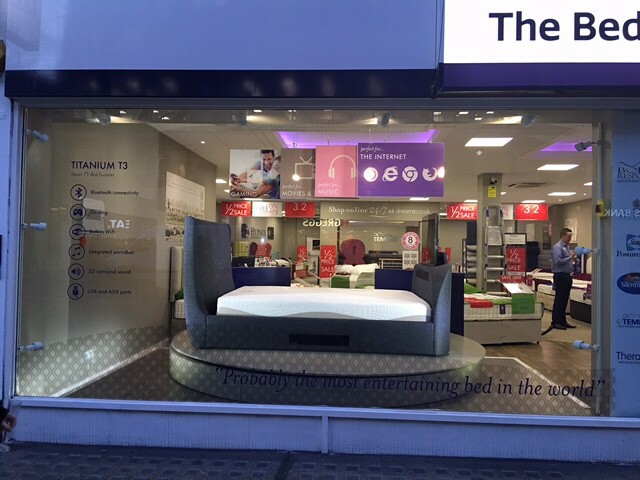 For this we used their main advertising graphic and strapline ‘so comfortable, all you feel is weightless’ and suspended a mattress mid-air as if floating on clouds. The clouds were then illuminated to help add light into the window and catch passers-by as they walked past. The second window focused on the Titanium T3 product which doubles as an entertainment station complete with large TV, wifi and surround sound. To showcase this we build a bespoke turntable to hold the bed and allow it to turn 360 degrees which added movement to the display. Both great impactful windows which supplement their high street offering.